..:: Demand Letter: First Step to Getting Paid :: Zlien ::.. Here at Wolfe Law Group we offer many different types of flat fees as easy and convenient options for our clients and potential clients. We have previously discussed these fees on our blog, and all can be found on our website. However, our demand letter service seems to be one of the more popular and “demanding” items we offer. Sending a formal demand letter from an attorney’s office on an attorney’s letterhead comes across more seriously and also heighten your adversary’s willingness to listen and resolve the issue at hand. In some situations, sending a demand letter may even be required before moving forward with a lawsuit. For this reason, it’s important to contact an attorney when trying to collect on your debt. In any case, if you or someone you know is having trouble with another party, sending a demand letter can be a very effective way of remedying the problem. Our small fee for drafting and sending a demand letter is a $150.00. The process begins by filling out our online form or calling our office to provide information about the demand. The information is then sent to one of our attorneys who will review and begin drafting the letter. Once the letter is finalized, we send to the client for review. Upon approval, we mail the demand letter to the adversary via certified mail so that we can track the letter’s delivery. Even though we only charge a small fee for a demand letter, we still make it a point to satisfy our clients and provide them with excellent service. Feel free to give us a call (504-894-9653) or check out our website if you have any questions about sending a demand letter or any of our other flat fees! Last week, the Office of the Attorney General issued a general letter from Attorney General Buddy Caldwell to the public regarding the 2013 hurricane season. Sometimes, for unfortunate reasons, this time of the year and leading into the late fall and early winter can see a spike in the need for contractors and subcontractors. More unfortunate still is that when we see this spike in demand, we sometimes read or hear about the negative, and instances of “contractor fraud.” Since Buddy has taken the time to inform the public about how to handle these situations, I thought it fitting to inform contractors how they can better prepare for the 2013 hurricane season, and avoid problems in their own right. Louisiana has pretty strict guidelines for determining who is allowed to bid, contract and work on a project. The foundation of all that governs contractors in this state is the license. Long story short and in general: you need one (there are always exceptions, depending on the work being done). But I’m an attorney, so I can’t keep it that short. Whether you are an out-of-state contractor or an in-state contractor, in order to operate within the law, there are certain qualifications that must be met. One such necessity is being licensed by this state before even bidding on a project. In my experience, this isn’t usually a problem when people come to us here at the Wolfe Law Group. However, knowing that this license expires is just as important as knowing that you are licensed in the first place. As we enter into a potentially busy season, take the time to review your license. Is it a one-, two- or three-year license? When was it issued? Make sure you keep it current. Your license expires on the anniversary of the date on which it was originally issued. You only have 15 days from that expiration to renew your license without paying a penalty, or worse, being treated as a new applicant. To all you new applicants out there: now is the time to begin the process of acquiring the proper licensing or registration if you have not already done so. As I said before, any hurricane season has the potential for a spike in business. However, acquiring a license isn’t a quick turnaround. Depending on your status, it could take anywhere from 4 to 10 weeks to get your license. During a time when competition could become rather fierce, this is a delay that could potentially kill your ability to turn a profit. More important, though, is the need to avoid penalties, losses and lawsuits in the future. The last thing you want to do is go through the entire process and expense of completing a project to then have difficulties with the homeowner and you NOT be licensed. For example, if they decide to not pay you but you don’t have your license, you almost definitely do not have any lien rights under the Private Works Act. If they decide to report you and you don’t have a license, you risk exposure to civil and potentially criminal penalties. If they decide to sue you, well, you get the point. 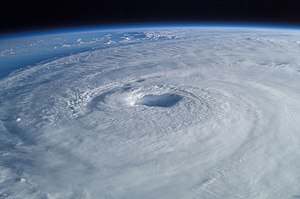 As we enter the 2013 hurricane season, the first item on your contractor preparedness checklist should be to make sure everything is current. Less “do or die,” but in my opinion important, is maintaining an active status with the Secretary of State. You would be amazed at how many times a simple search on the Secretary of State’s website reveals that a company actively doing business in this state is actually listed as inactive or that its charter has been revoked by the Secretary. Why? Because people get sloppy. It takes almost no time and very little expense to maintain an active, good standing status with the State of Louisiana, yet people so often let this fall by the wayside. While it doesn’t necessarily impact one’s ability to work or provide services in the state, it could have ramifications if you’re sued by a disgruntled homeowner. Remember, you are running a business. In so doing, there are certain guidelines and requirements that you need to follow depending on the type of business you are operating. Stay on top of it, or better still, have your lawyer stay on top of it for you. Let’s get back to that disgruntled homeowner from above. Say, the project is complete and, for whatever reason, they sue your company. You’re safe, though, personally right? Maybe. Have you been keeping up with those state requirements for your business? Have you been filing all the correct paperwork every year? Have you been maintaining your accounts correctly? Has your business been operating as a true business, or is it just a front for either yourself or another business? If you can’t answer yes to these questions, you have a problem and you might not be protected. An easy way to avoid this is to keep it active. Make sure you are consistently keeping records with the state and you consistently keep good records for your business. Don’t let the “business-y” end of your construction business lag, especially moving into a time when you could potentially become much busier than usual. If this isn’t your thing – hire that attorney to do it for you. The final note is just one of general good business practice. Keep it honest. When you start bidding and contracting, a lot of times you can avoid future headaches by just playing the game fairly. Of course, there will always be those difficult people you will encounter along the way. It’s amazing, though, how far someone can get (and how much trouble they can avoid) by developing an honest and trusting relationship with the people they are working with. Now is as good a time as any to make that a work mantra.